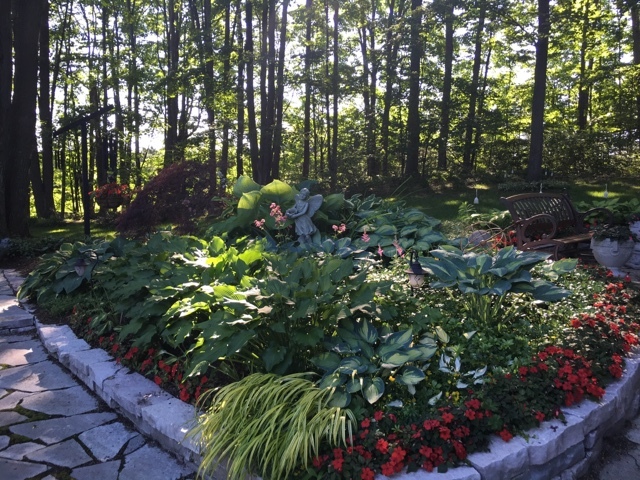 This is one of my favorite garden areas- especially in the morning. Astrantia (Great Masterwort) Star of Fire. 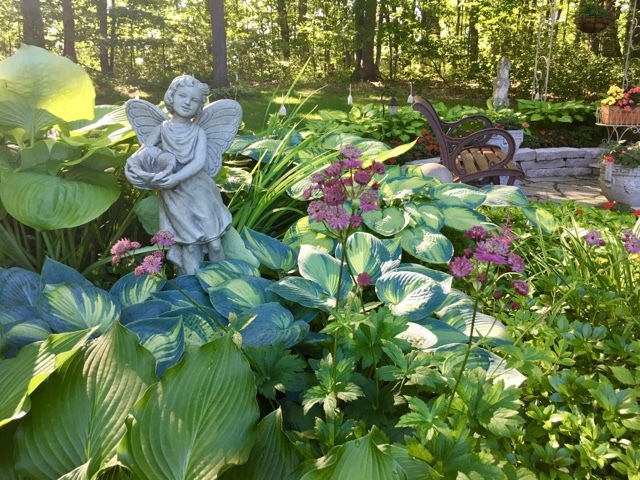 On the backside of the fairy garden is a large Annabelle Hydrangea which has started to bloom. It will go from the light lime green color to white. 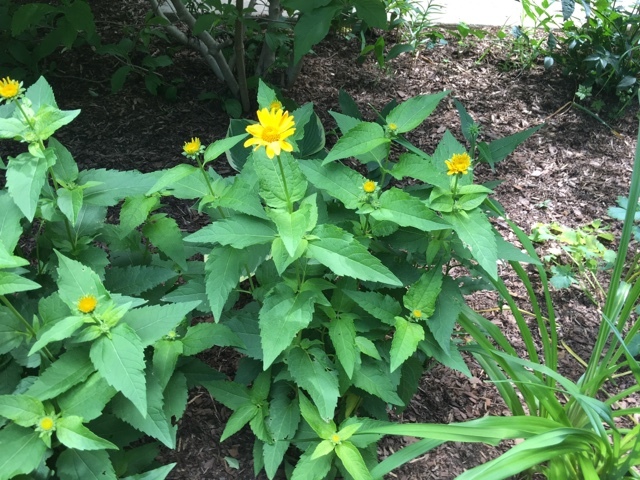 Late in the fall, I cut it back pretty short and every spring it develops new growth and blooms again. The mopheads are so large they would fill a dinner plate nicely! Across the driveway on the turnaround area is my "forgotten garden" as I like to call it. 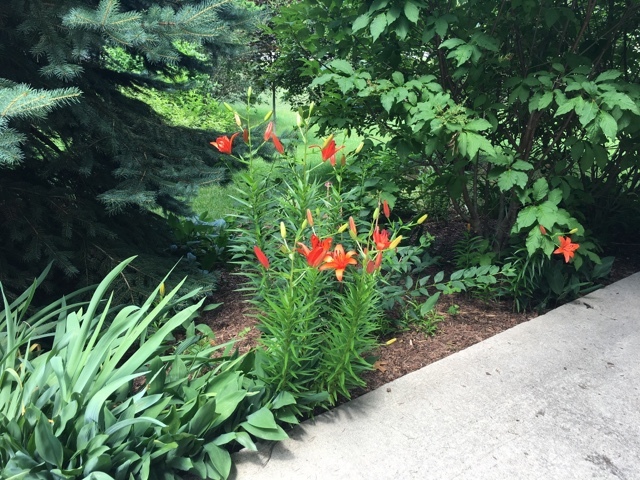 I used to have a nice array of asiatic lilies but voles ate the bulbs and these tall bright orange lilies are the only thing left. This is the other side of the "forgotten garden". 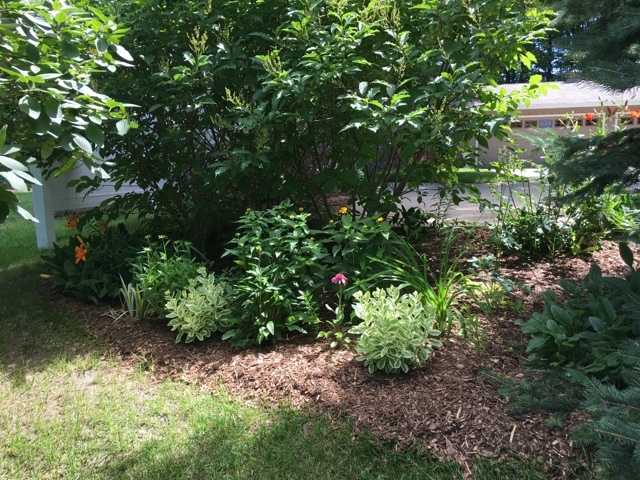 I call it that because it's well hidden by a large blue spruce and the lilacs that I lined up to make a green wall for privacy. It's easy for forget it's there! 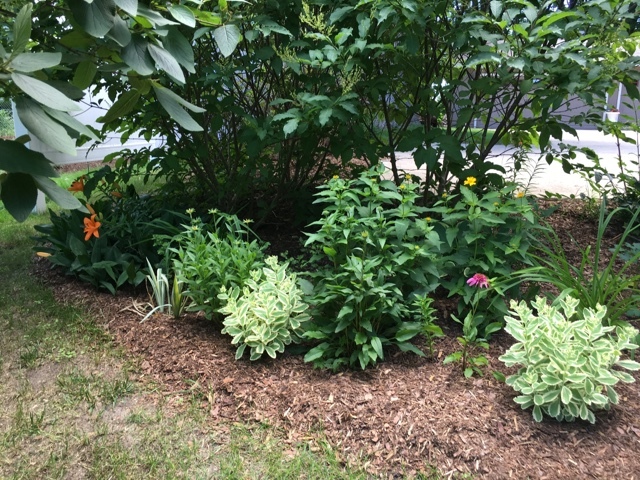 This spring I dug and moved plants around that looked very disorganized. erennials tend to move a little and not come up exactly where they started. 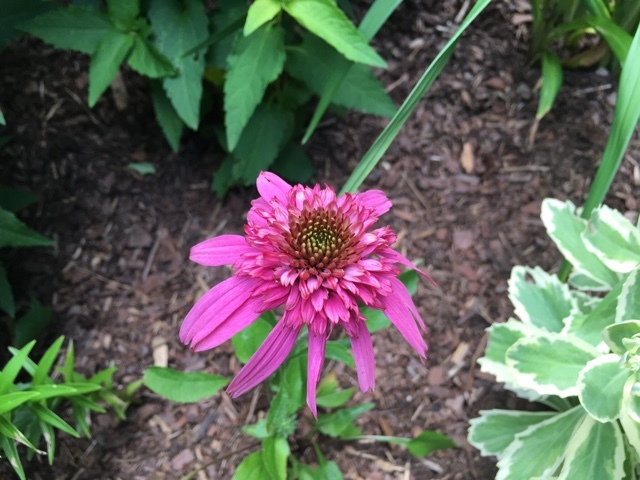 At this point the cone flowers are starting to bloom as well as the daylilies. This is a "scratch and sniff" picture! These cones smell so nice! It's called Secret Affair from the Secret series. This plant on the left is called Helenium (sneezeweed) not ready to bloom yet, the yellow flowers are a Heliopsis plant called Tuscan Sun. 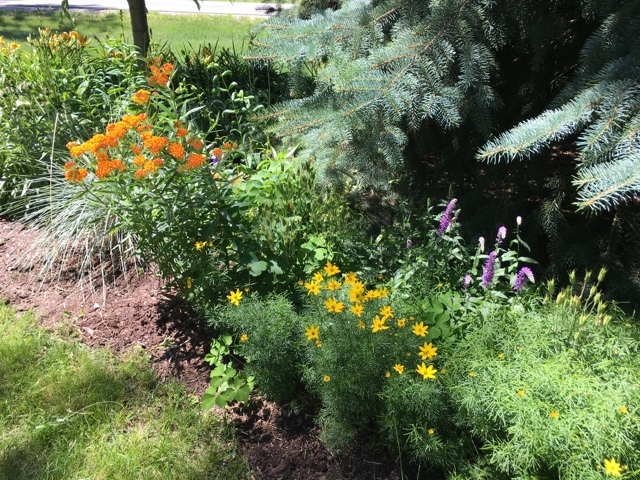 When I started this garden bed I tried to find plants I didn't already have as well as varieties I wasn't familiar with. I saw these variegated sedum one year and bought two. I've never seen them again so I'm glad I found them. I should split them up and create more of them. 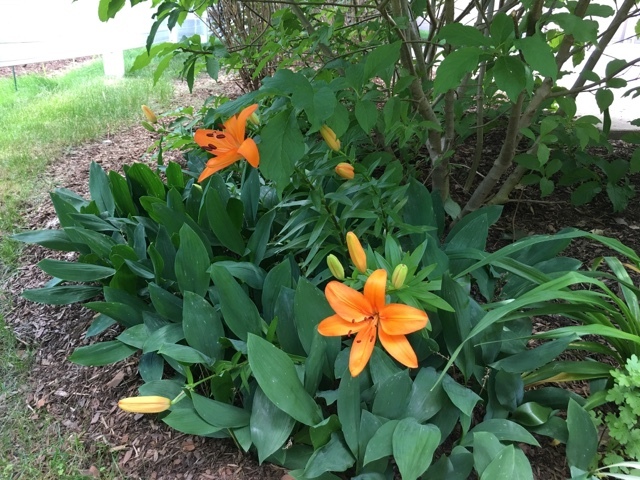 This is the prettiest shade of a melon-orange colored lily. They are doing pretty well considering this is in a part sun garden bed. Across the driveway is the island we built to create privacy and noise barrier from the road that's so close to our house. 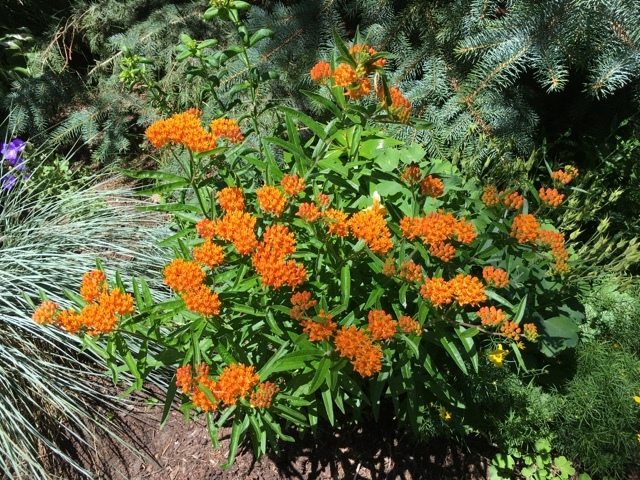 The butterfly weed plant is in full bloom. So far I haven't seen butterflies on it but I'm not out there looking all the time either! I have seen a fair amount of butterflies out back this year which makes me happy. 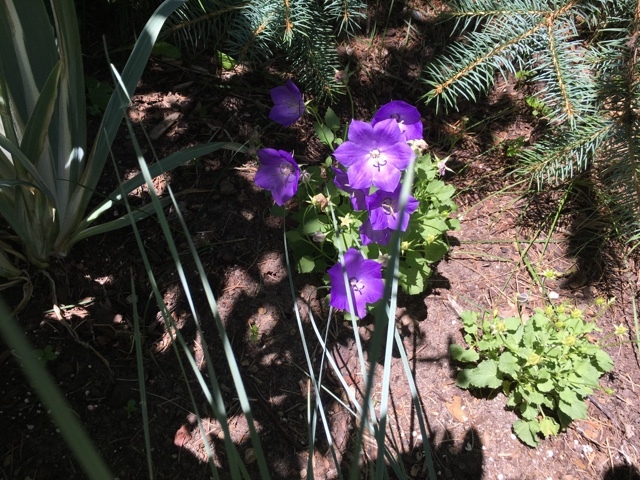 These are a short version of Campanula (bell flowers). I've always enjoyed their flower shape and there are a lot of varieties of them. After I took this picture I dug them and moved them out front of the bed because they are really short. I have no idea why I planted them behind taller plants. The Coreopsis is starting to bloom- they make a nice showing once they get started. Out back by the deck in my "pink" garden. I do love this striking color! 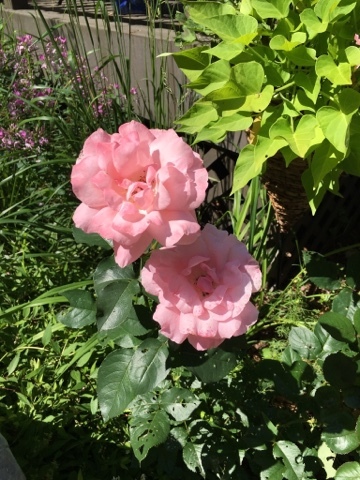 Queen Elizabeth, Grandiflora Rose (late stage becomes delicate pale in color). Oh Liz, I just get a little green with envy every time I see your gardens! I. Just. Can't!!!!!!!!!!!! Oh, Liz, Liz, Liz!!!!!! Your gardens look spectacular. Loving all of the green with pops of color. We all have some garden envy. I added a Gardening page and a contact form. 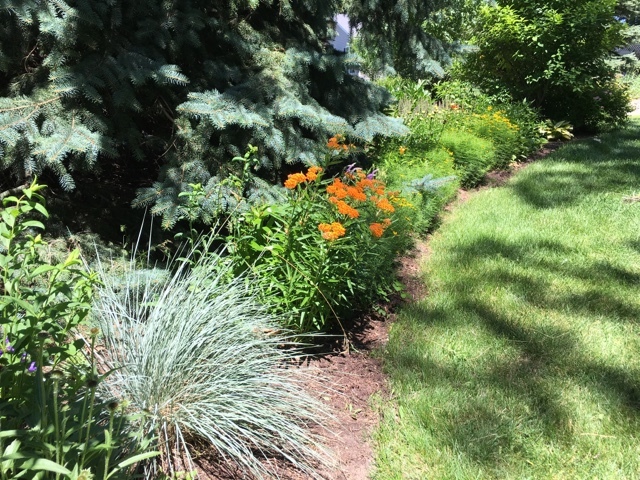 I cannot say enough about how beautiful and lush your gardens are. Your gardens are gorgeous! !Simply stunning!! Thanks so much for sharing with us!! Beautiful blooms! 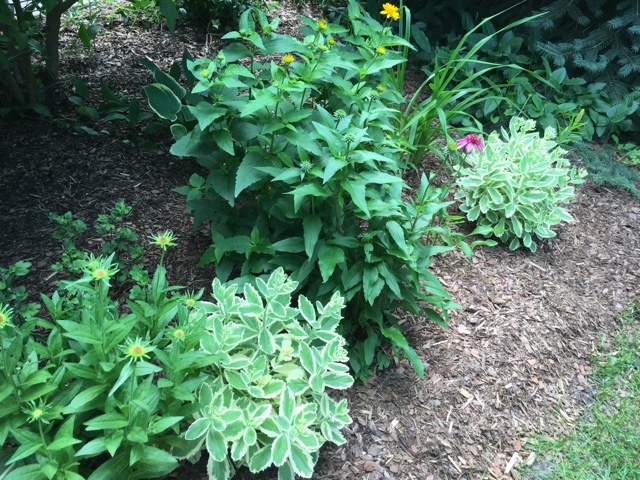 I especially love your Annabelle Hydrangea and I'm a sucker for variegated anything so your sedum is especially appealing to me. The Monarchs are going to all aflutter over with your healthy butterfly weed! Everything is so pretty! I just love the butterfly weed plant. I saw this in a field recently and it was gorgeous! Liz, I definitely have garden envy. 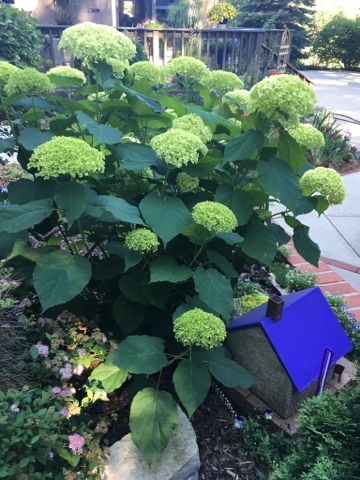 Your mopheads are just beautiful, as well as the Annabelle hydrangea! 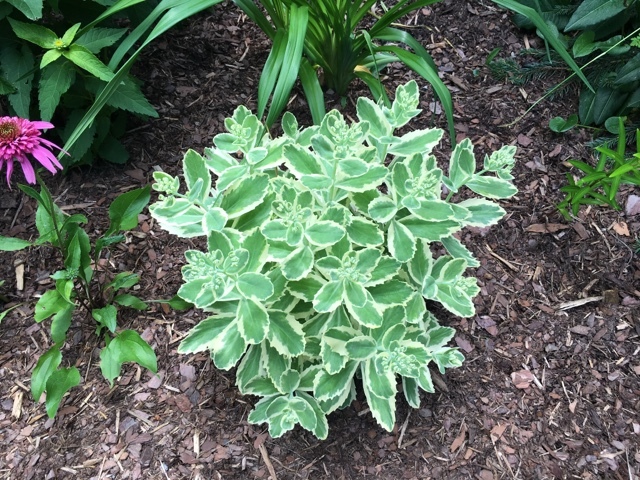 I was looking at sedum last week at the garden shop, and your variegated one is especially nice! Once again, you have shared you gardening skills at Gardens Galore! Oh Liz! This is breathtaking. So pretty! Such a beautiful garden - I'm envious! Living in hot Florida, my garden is filled with tropical plants that would be houseplants up north. 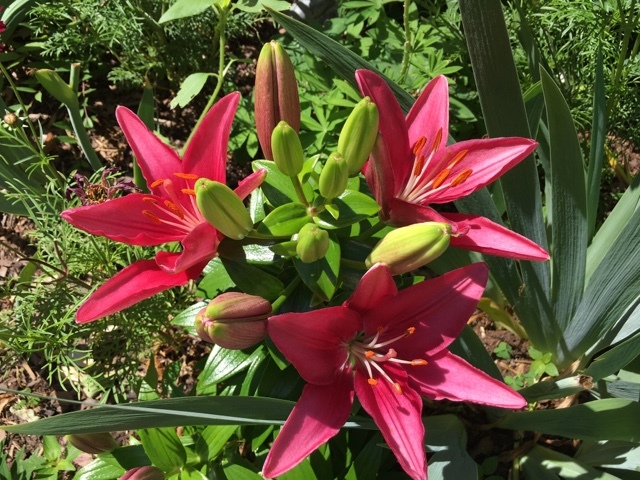 I love them but I only have a couple weeks of lilies in the spring. Roses don't fare well here either. 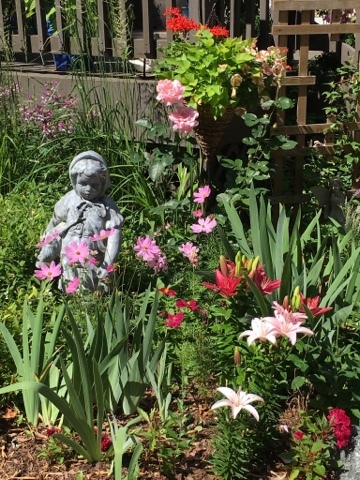 Your garden is just plain gorgeous! Loved the stroll through your garden especially the different perennials. So beautiful! 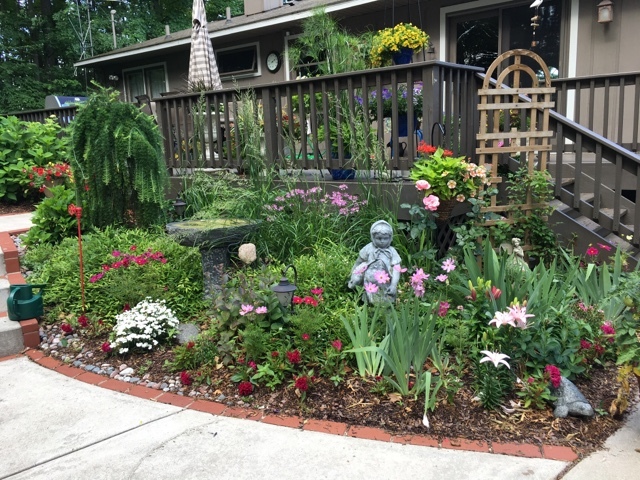 I love it all, but enjoyed seeing your deck garden this time - so much color. Thanks for the tour. Garden perfection Liz! 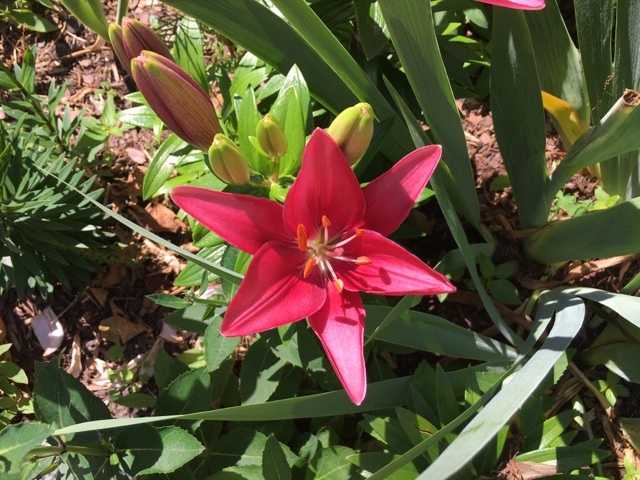 Everything is so well tended, and the variety of blooms and colors provides a lot of eye candy! Liz, I especially like the variegated sedum. I will be looking for it because I need pops of white in my garden full of shade. Everything in your garden looks wonderful. Love all the color. 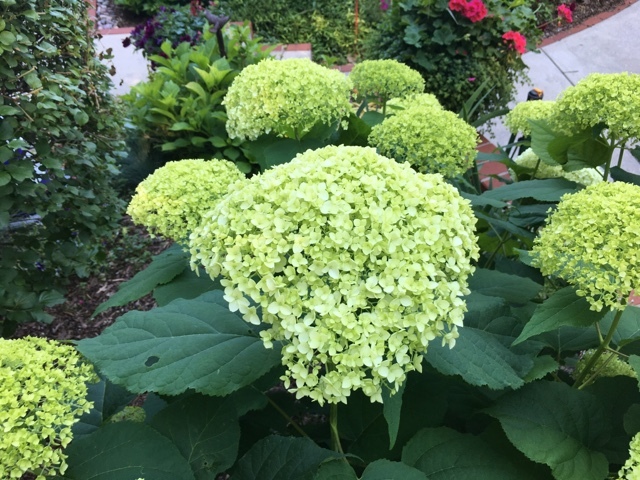 The annabelle hydrangea is spectacular. I would love one so healthy and pretty. 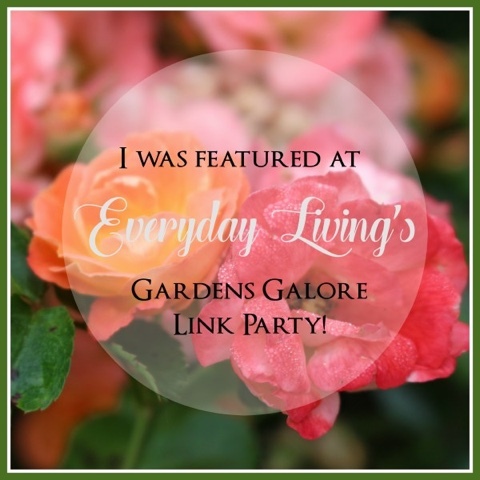 I couldn't get the link to work from the garden party at Pam's so I clicked on a comment you made from my blog. Don't know why it would not work for me. Your gardens are truly stunning, Liz - you shall inspire me to start splitting and moving things once more! There are a few things I made note I needed to move last summer, but then spring clean up starts and it's so overwhelming and it doesn't happen...you know how that is!